Song Titles: I Just Feel Like Something Good Is About To Happen, I Know Who Holds Tomorrow, Damascus Road, Master Of The Sea, I Want To Walk With My Lord, Calvary Answers For Me, I’m Telling The World About His Love, How Long Has It Been, Never Made A Promise, Better Hurry Up. 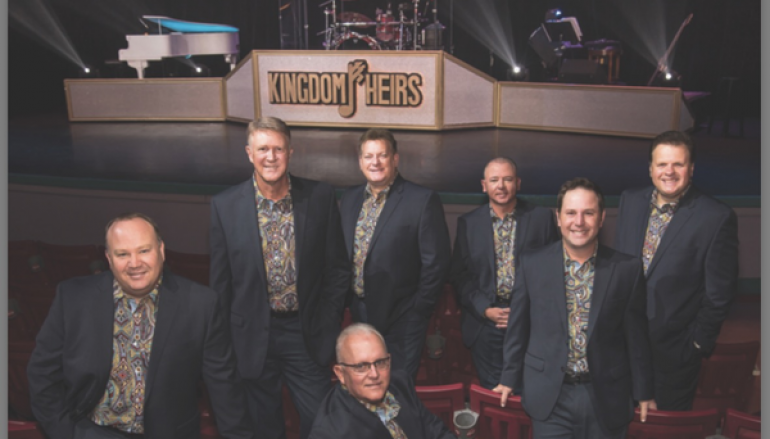 Something Good provides one of our first extended looks at the new Kingdom Heirs lineup, featuring the addition of baritone/lead Loren Harris. 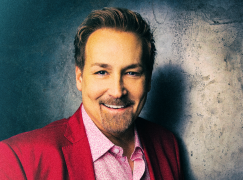 Southern Gospel fans remember and love Harris for singing lead for The Perrys during their turn-of-the-century run that landed them in the genre’s top echelon. So it’s fitting that this project includes two Perrys songs featuring him, “Damascus Road” and “Calvary Answers For Me.” The songs work splendidly with Kingdom Heirs harmonies and are this release’s two strongest tracks. The Perrys still stage “I Wish I Could Have Been There” and “I Rest My Case at the Cross.” So the Kingdom Heirs’ decision to record “Damascus Road” and “Calvary Answers For Me” instead is both a nice gesture of respect to The Perrys and a fresh chance for two songs that might not have gotten quite the attention they deserved. Table projects tend to feature familiar arrangements of familiar songs. But the song selection is notably more creative than the average table project. The unique selections include “Master Of The Sea,” “I Want To Walk With My Lord,” and the two Perrys songs. Of course, as would be expected for any table project, there are also a few oft-recorded selections that casual fans will know (“How Long Has it Been” and the opening two tracks). The instrumental arrangements stick fairly close to previously recorded versions. “Better Hurry Up” closely follows the 2009 Jubilee Tour version. “How Long Has It Been” sounds so close to the Homeland Quartet version that it may actually be using the Homeland/Mansion EZ Key track. There are also several songs using tracks from the Crossroads Performance Track line. And this does lead to the project’s only real weakness: Some of the tracks sound fresh and current, while others sound a little more dated (especially when it comes to drum reverb). But this is just a minor quibble, and, after all, normal and expected for most table projects. Few table projects deserve a “must buy” rating. Thanks to song selection and vocal performance, Something Good does. I’ve really enjoyed this album and I’m more excited for the future of this lineup. I really enjoyed the songs and how the KH went out of their way to find “fresh’ cover songs for the lineup. I agree with your assessment of the tracks, there were one or two that sounded old, but I’m sure they wanted to get a project out with the new vocal lineup. I did notice the “I want to walk everyday with my Lord” track was the same one that the Lefevres used from the new “Old Gold” cd. Its been a great weekend with 2 new releases from the the Kingdom Heirs in Something Good and their new live album. Looking forward to their new mainline release soon. Good catch on the Old Gold track! Tracking down the source of tracks is always one of the most fascinating elements to me when analyzing a table project. Yes, both releases from this month are good. I chose to review this one since it features the new lineup, while the live project has the old one. So I thought there would be more interesting to say about this one. I’m the same way with trying to find the source of a familiar track on another artist’s cover. Great review. Maybe if you find time, you could review the live one as well, but I think you made the right choice in choosing “Something Good”. I have never understood what exactly is a “table project”. Is it something that the group self publishes and is not connected to a major publishing company? And something that contains mainly cover songs? In any case, I am sure that there are some table projects out there that are stronger than some mainline projects. A “table project” is best described as a product that is only available directly from the group that recorded it. For this reason, many “table” recordings often have some of the characteristics you described…low budget, mostly cover songs, no connection to a label. Thanks for the explanation. Maybe table projects are also an easy way for groups to introduce new members to their fans until they are able to release a major album. Saw these guys this past Friday night. WOW!!! Top QT today….no comparison. Superb concert vocally, musically & spiritually. 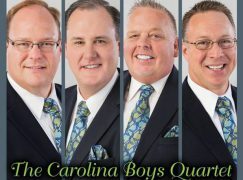 They are so fortunate to sing at Dollywood and miss all the travel, but when they hit the road for a few weeks, it is well worth the effort to go see them in a church setting. Yes, it is. I plan to see them live in two weeks. I do post here on occasion. :) But since it’s only on occasion and not a daily/weekly thing, we haven’t made a big announcement.